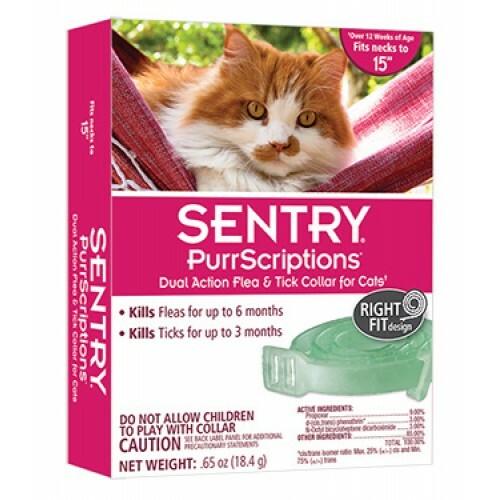 SENTRY Purrscriptions Dual Action Flea and Tick Collar is a fast-acting, long-lasting collar that kills fleas and ticks and protects for up to six months. It also emits a fresh powdery scent. This collar will fit necks up to 15 inches.